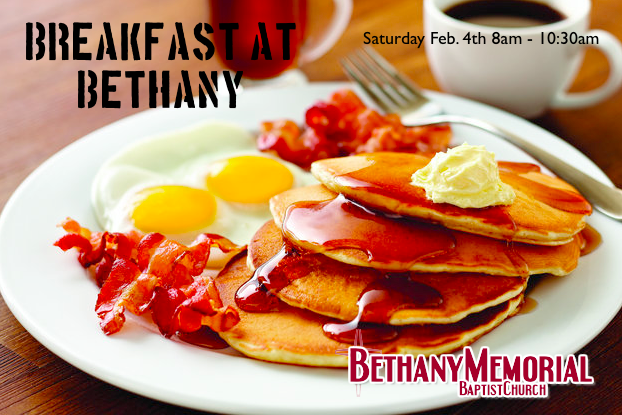 Join us Saturday Feb 4th starting at 8 am for “All you can eat” pancakes plus eggs, sausage, homemade muffins and beans, toast, tea, coffee, juice. Cost is free, with a free will offering, ALL are welcome. Hope to see you there!